Biomass rocket stoves are a highly efficient way to make a fire that’s perfect for cooking a meal. They are easy and inexpensive to build and vary in terms of size, material, and portability. You can build one kind for outdoor home cooking, another for camping or hiking, another for emergency preparation, and another for pure off-grid living. Whatever your need, there is a type of rocket stove to meet it. 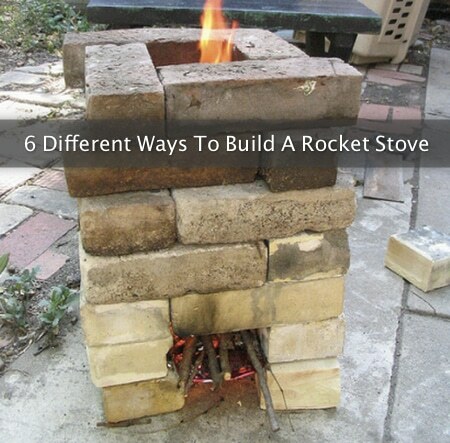 We found a source that explains how to build six different types of rocket stoves. All are different from the Five Gallon Metal Bucket Rocket Stove and, of course, the manufactured EcoZoom Versa. Rocket stoves produce high heat and burn with simple sticks and twigs which is almost always convenient.